Along with buying the new pencil case and lunchbox lots of parents are looking for ways to help their kids get the proper sleep they need for school success. 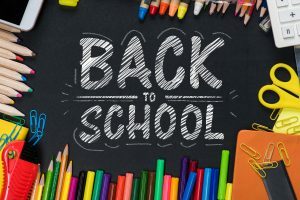 After the long days and late nights of the summer holidays changing and re establishing your child’s sleep pattern can be just as important as stocking up on their school supplies. When children don’t get enough sleep, it affects their whole being. A little grumpiness in the morning is one thing, but lack of sleep can cause long term problems as well as a bad attitude towards teachers, school friends, family members and your child’s ability to learn in general. Sleep deprivation can also lead to poor school performance, lower grades, lack of concentration, hyper activity and possibly can even increase the chances of your child becoming overweight. With all those reasons, it’s easy to see why going back to bedtimes is an essential part of going back to school. But what can you do to take the trauma out of this transition? Here are seven steps to sorting out your child’s sleep routine as part of starting the new school year. One of the best gifts you can give your child to help them get all the sleep they need, now that school has started, is to set an expectation around what time they need to go to sleep. Depending on their ages, children need differing amounts of sleep. Talk to your kids about what kinds of things they want to do to help them get ready for bed and encourage them to participate in establishing this new routine. Setting up a standard set of activities that always precedes going to sleep signals in their mind and body that bedtime is approaching. It creates a habit that is really helpful. Activities like taking a relaxing bath, changing into pyjamas, brushing their teeth, and reading a story are all great bedtime routine activities. Keep in your mind that it’s about relaxing not over stimulating. I’m working with a family at the moment whose Daddy comes home just after bath time and he starts whipping the kids into an excited frenzy of lively robust play after their bath as he hasn’t seen them all day but it’s playing havoc with their sleep routine ! We’ve been working on that ! Give your kids the best environment for a good night’s sleep by removing all their technology and electronics like televisions, computers, video games, iPods, and mobile phones from their bedroom. Make a no-electronics at bedtime rule that makes these items off-limits from the start of their bedtime routine until morning. To help your kids fall asleep at bedtime, eliminate their caffeine and sugar intake in the two hours leading up bedtime. It is also best to avoid heavy meals or snacks during those last two hours too as it gives children a rush of energy that they don’t need in the lead up to sleeping. Model good sleep habits for your child by keeping a consistent schedule of when you go to sleep and when you wake up. Don’t spend a lot of time doing other things like playing video games or working on your laptop while in your own bed to show your children that it is important to save bedtime for sleeping. The key is to walk your talk and to make sleep a priority in your life so that your children learn that it really is one of the foundations of good health. One the key changes after the Summer Holidays is to look at what your kids are doing in the hours leading up to their bedtime for hidden sleep thieves like using technology, high levels of over stimulating activity, or eating late. Over the summer, your kids may have got into the habit of watching TV rather than reading a book to fall asleep. They may be used to eating dinner later, playing outside later, or doing family things together, later. All of these things can interfere with re-establishing a solid sleep routine that enables them to get the sleep they need for school. So re-design their evening routine so that computers, cell phones, televisions, and video games are not part of the few hours leading up to bedtime. Eating late can also make it difficult to get a good night’s sleep, so adjusting dinner time to be earlier can also help get kids back on track. Start their sleep routine earlier by 15 minutes for a week before the school term starts so that it’s an incremental change from the holiday time. 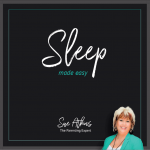 It is bursting with my ideas, tips and helpful advice for a stress free bedtime. The post Back To School Bedtimes appeared first on Sue Atkins The Parenting Coach.